There’s conspiracy, and then there’s Las Vegas conspiracy. Last week, a well known attorney from Las Vegas, Nevada got in touch with me and shared some rather pointed insight into the ongoing SLAPP lawsuit filed by Utah for-profit college Neumont University against CollegeTimes’ former web host – Little Bizzy, my part-time web hosting company – which has dragged on for the past two years. Magistrate Peggy A. Leen has also been assisting the case on behalf of Judge Dorsey, which has turned out to be something of a 3 ring circus. Incompetent, Or Appeasing Her Masters? The net result is that we’re left with an opinion where Section 230 casts a very long shadow over the outcome, yet the opinion addresses a hypothetical world where Section 230 doesn’t exist. This opinion also doesn’t address Nevada’s new anti-SLAPP law, even though it probably would have applied; and if it did, it would have led to a fee-shift to the defendant. When I asked what he thought about Dorsey’s complete disregard for Section 230, and failure to mention any “evidence” or arguments presented by the plaintiff in her default ruling, the attorney was pretty blunt. “She’s a f*cking moron,” he answered. But surely “morons” don’t navigate their way into a federal judgeship – or do they? The attorney, whose name I am withholding for privacy reasons, went on to assert that federal Judge Dorsey had in fact “bought” her judgeship nomination from U.S. Senator Harry Reid for $150,000 in political contributions. Indeed, although Dorsey and Reid both strongly denied any wrongdoing in high profile 2013 nomination proceedings, he spoke as if it is a well known belief around Las Vegas that in fact the opposite is true. 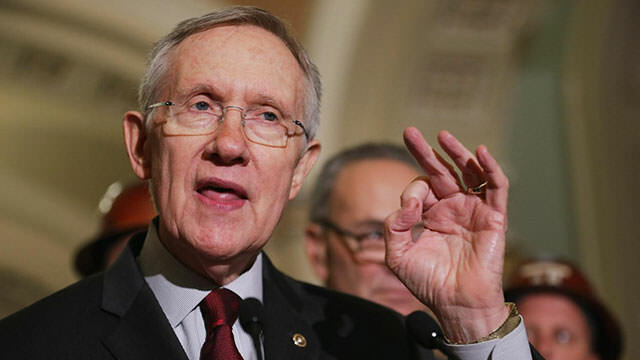 Reid, who was formerly a city attorney for Henderson (an upscale Las Vegas suburb), a former Nevada state legislator, the 25th Lieutenant Governor of Nevada, the former chairman of the Nevada Gaming Commission, and the highest ranking member of the Mormon (LDS) Church in the United States, is widely accused of being one of the most corrupt politicians in American history. In the U.S. federal court system, magistrates are pretty much the “b*tch” of district court judges, picking up whatever cases or work that the district judges tell them to do. And while magistrates – like Leen – are free and ordained to rule cases on their own, it seems particularly interesting that both she AND her boss in this case – Dorsey, who signed the actual ruling – have had multiple run-ins with Harry Reid and LDS Church, Inc. When a Las Vegas religious group was indicted in 2005 for embezzling federal grants – money that was eventually tied to Harry Reid – it was Magistrate Leen who first heard the case. The defendants later got off with probation and minor punishment. And when Jim Gibbons, the former Mormon governor of Nevada, was sued in 2010 by a waitress for sexual harassment, it was Leen who ordered the woman to undergo a psychiatric evaluation, protected Gibbons from having to issue sworn testimony, and oversaw an off-the-record settlement of just $50,000 on behalf of Gibbons. What’s more interesting, however, than Harry Reid’s vast ties to the echelons of the federal and Nevada governments, or his long and detailed record of corruption and abuse, or his ability to leverage judges or churches or government funding to do his bidding without ever facing criminal charges, is how the LDS Church seems to continuously resurface in Neumont University related scandals, despite their aggressive denials of any past or current affiliation with the Utah-based religion. Neumont, who CollegeTimes has repeatedly tied to the Mormon Church – including having former LDS Director Eric Denna on their board of directors – is clearly not the first high profile Mormon figure that Leen has helped out in the federal court system. God help us if Mitt Romney becomes the next President of the United States. Update 7/23/2014: It’s been discovered that Neumont’s douchebag attorney in the case, John Krieger, is also a Mormon who attended Brigham Young University along with the founders (and investors) of Neumont University. While John Krieger did attend BYU, I don’t think he considers himself a Mormon at this point. It doesn’t really matter, as arguably a large number of Mormons don’t “consider” themselves serious followers as far as the ideology is concerned. The power of Mormonism is not in its religious convictions but the fact that it is a centralized organization controlled by a top-down, single entity known as the LDS Church, which benefits from non-profit and other religious protections. This, one of the largest centralized organizations in the United States, wields amazing power across both governmental and private sector lines, which is why there are non-stop allegations of corruption across every industry or region that it touches.